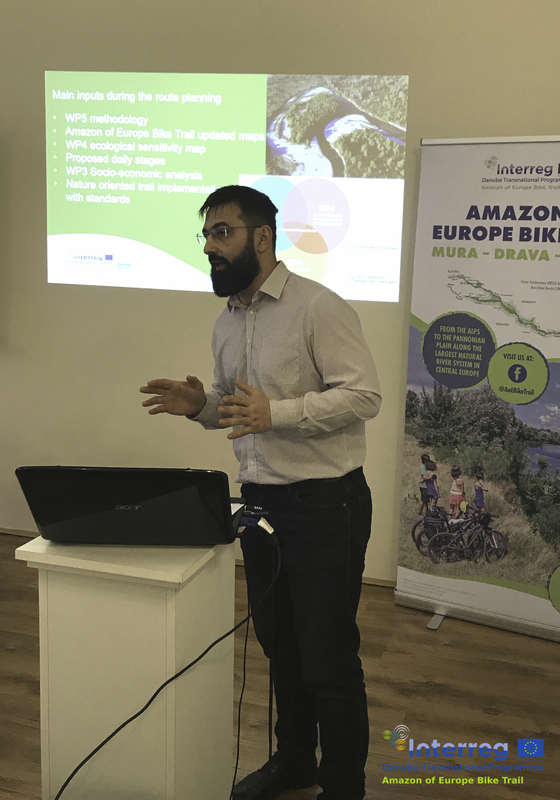 From 23rd to 25th January 2019, the Amazon of Europe Bike Trail partnership met in Nagyatad, Hungary for the 2nd Steering Committee Meeting and Study Visit of the area. 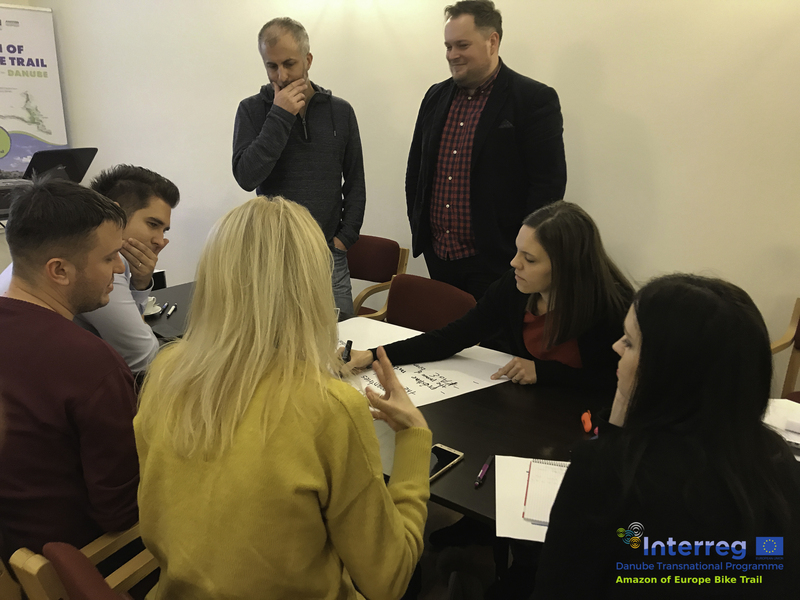 Two days were packed with working on all project work packages, with presentations and group workshops, needed for the next steps in the project. 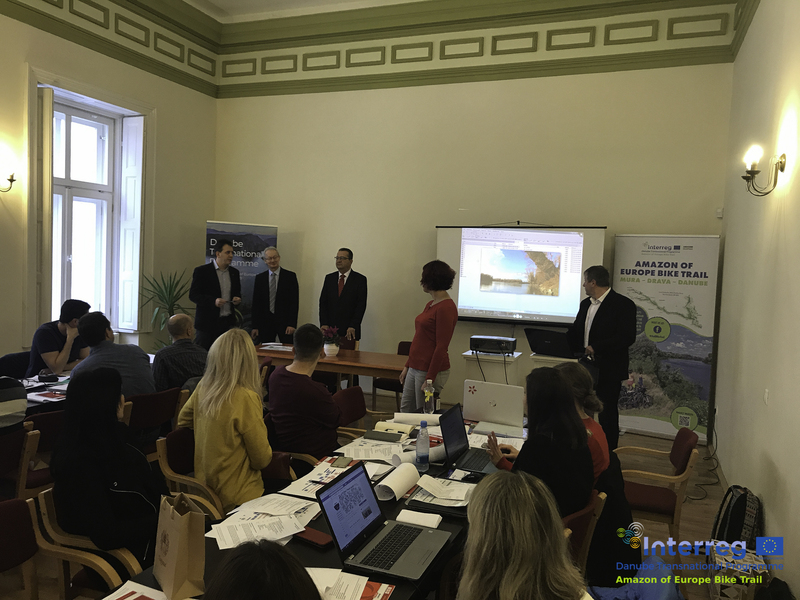 First, we were welcomed by István Ormai, Mayor of Nagyatad, Norbert Bíró, President of General Assembly of Somogy County, and Márton Pünkösd, Director of local Sports centre of Nagyatad. 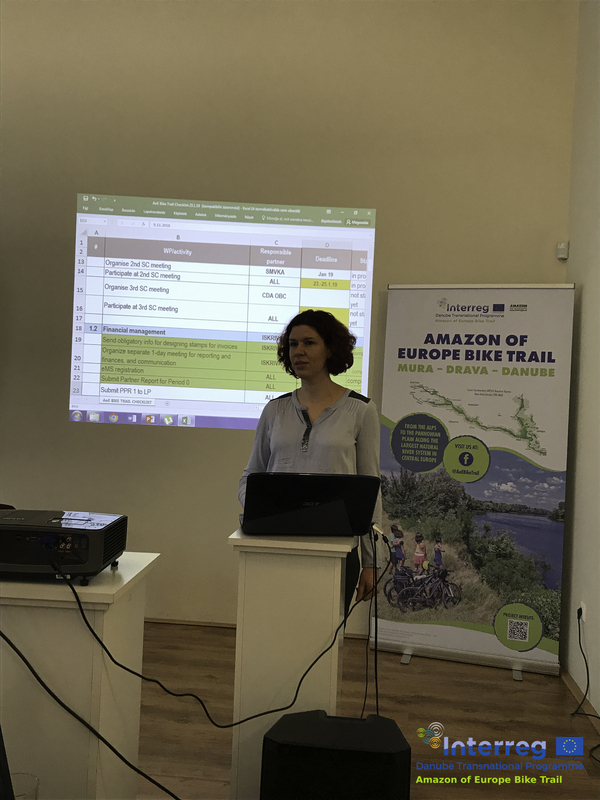 Welcome addresses were followed by introductory presentation of the aims of the meeting, project progress, workflow and planning the next SC meeting by Urška Dolinar, Iskriva (Lead Partner). 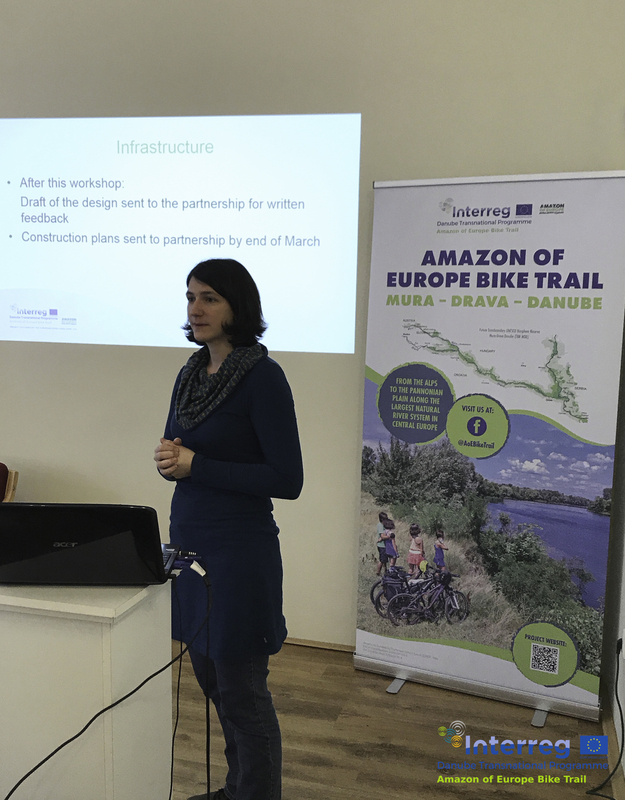 The first session on Trail Implementation Standards started with presentations by Stefanie Edelmüller, WWF Austria and Adreas Nemmert, Revital, followed by a presentation of proposed Infrastructure along the trail and a group workshop by Wolfgang Moritzer, Revital, where project partners gave their feedback on the proposed infrastructure plans. 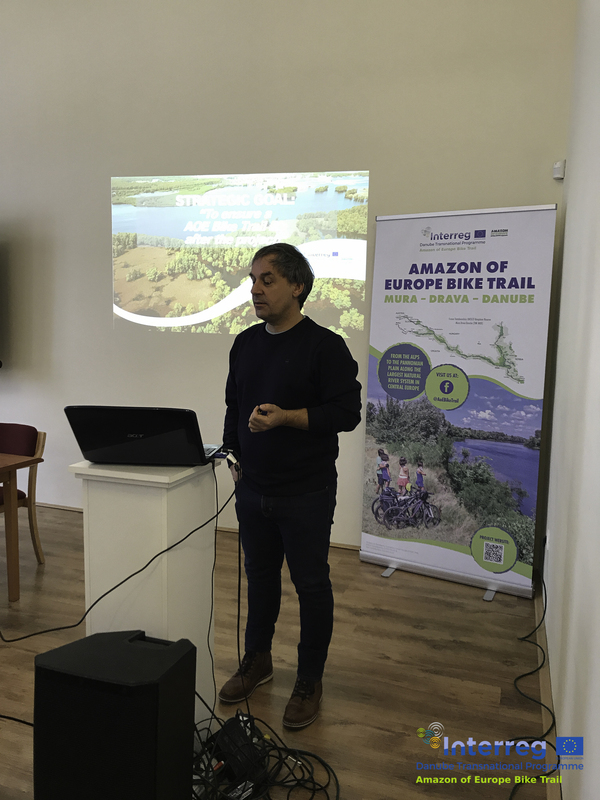 The next presentation focused on Nature-oriented visitor guidance, presented by Lukas Umgeher, Revital. 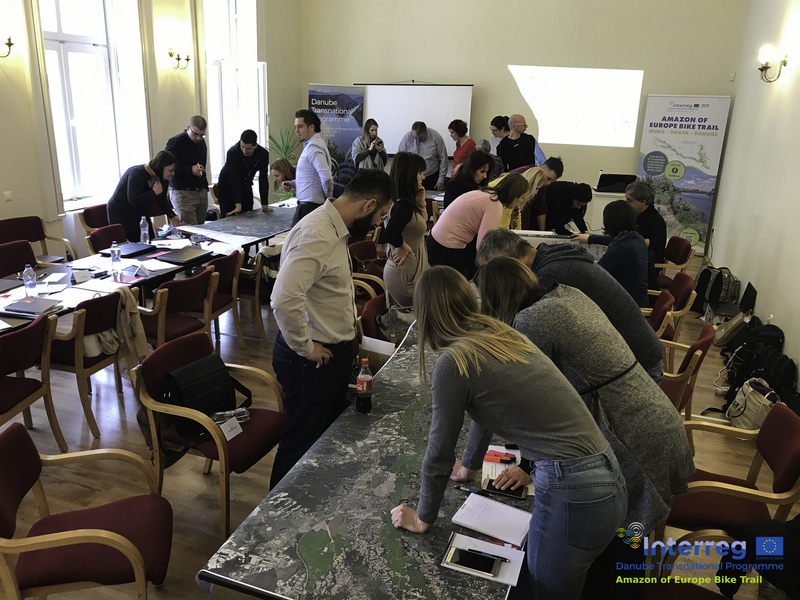 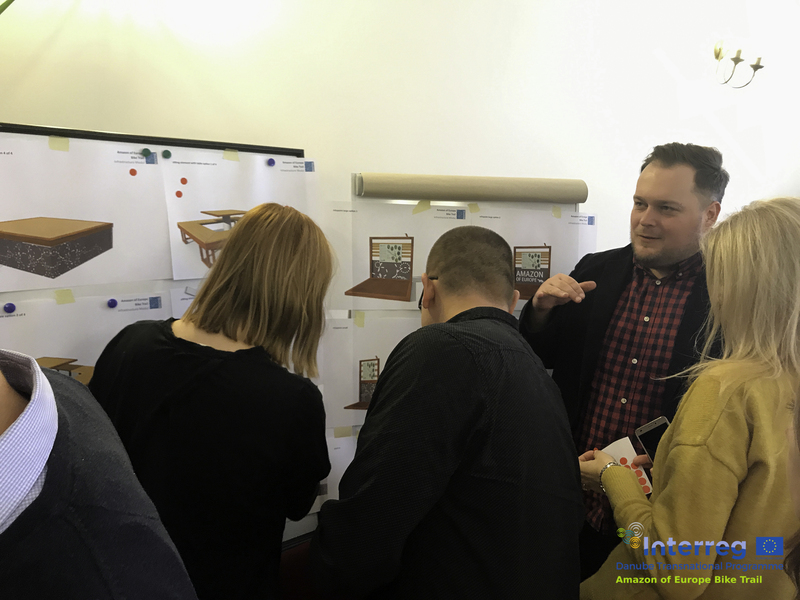 In the next workshop, project partners worked in groups, marking the locations of existing infrastructure (attractions, visitor centres, bike stops, etc.) 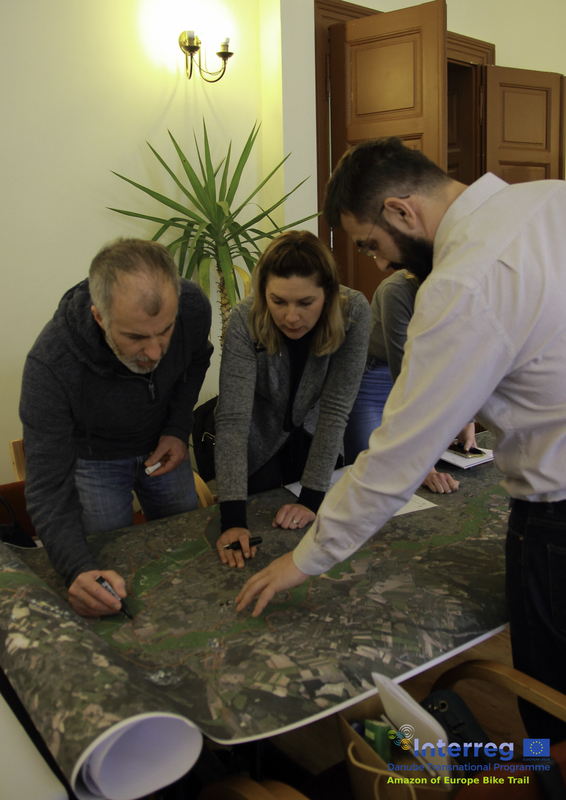 in their regions on the maps. 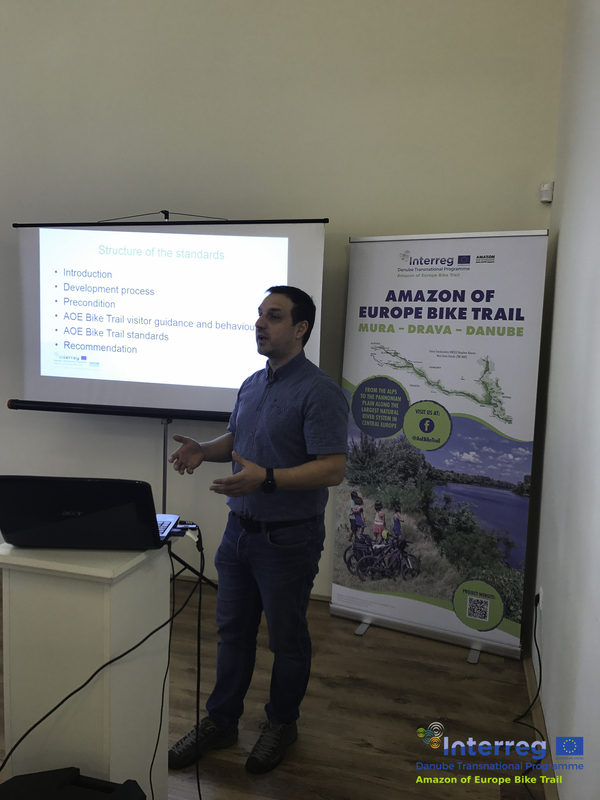 In the afternoon, our work continued with a presentation of Bike trail implementation by Tibor Polgar, Westpannon. 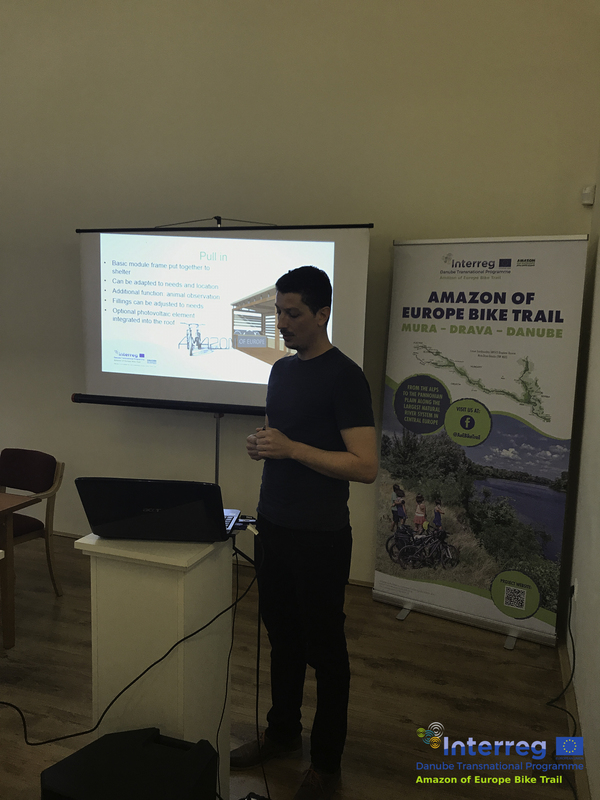 The last presentation of the day was about Communication activities (Danijel Lončar, WWF Adria & Zarja Šinkovec, Iskriva), followed by a workshop about the vision and story of the Amazon of Europe Bike Trail. 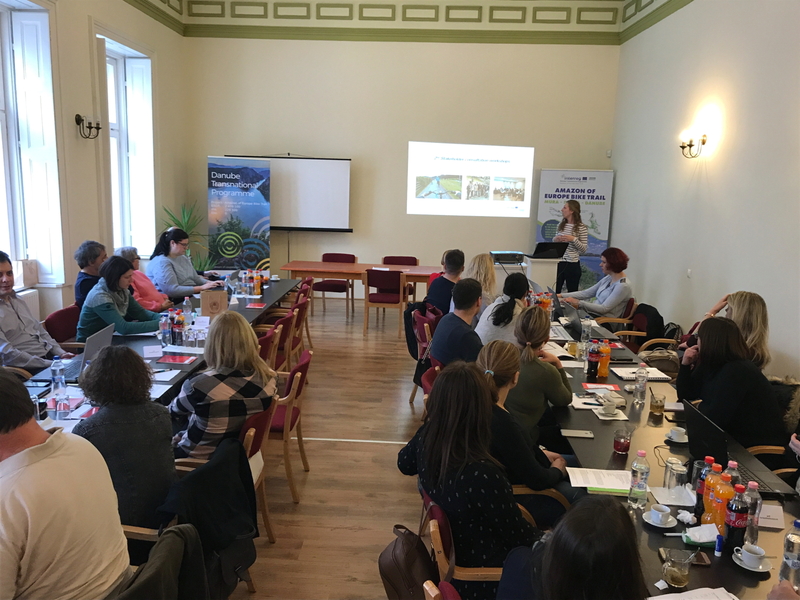 The second day of the SCOM meeting started with a presentation on Product development by Anja Krajnik, Iskriva, where the first results of the Socio-economic analysis were presented. 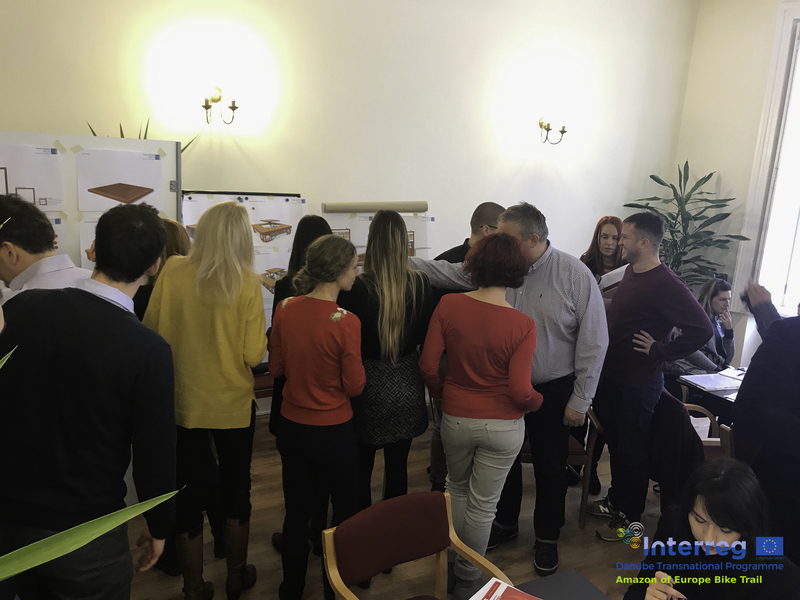 Günter Mussnig, Trail Angels presented the part on Product development work package and moderated a group workshop with all the partners. 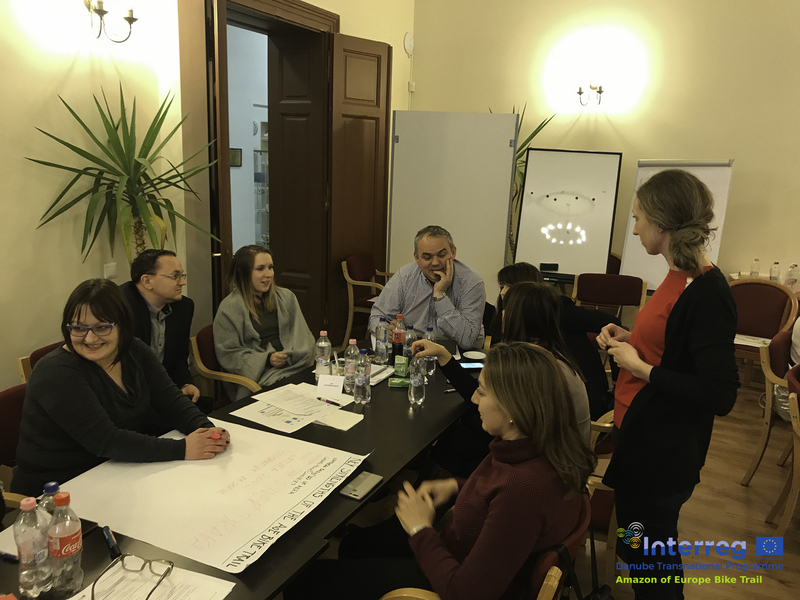 Lastly, Urška Dolinar, Iskriva presented the Project management work package, an overview of project spending, as well as meeting conclusions and plans for future activities. 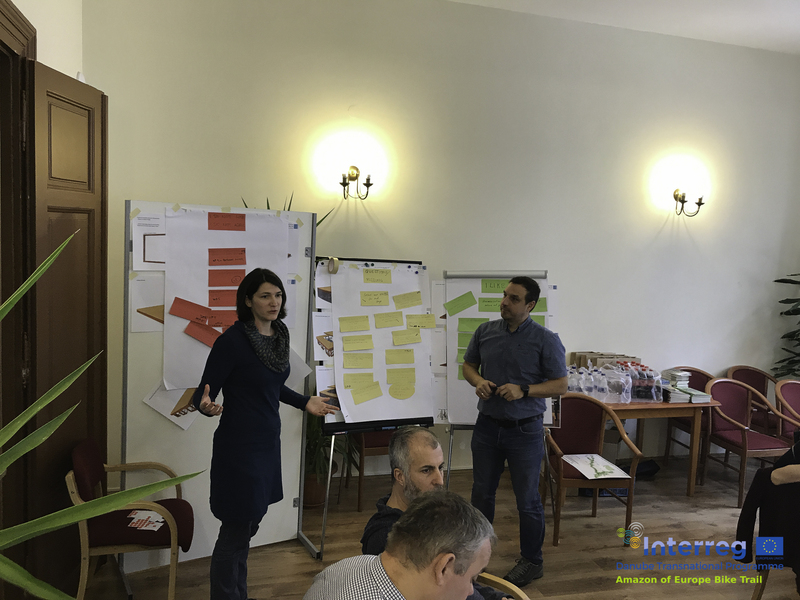 To find more photos from the 2nd SCOM Meeting, visit the "Gallery" on the left side of this page. 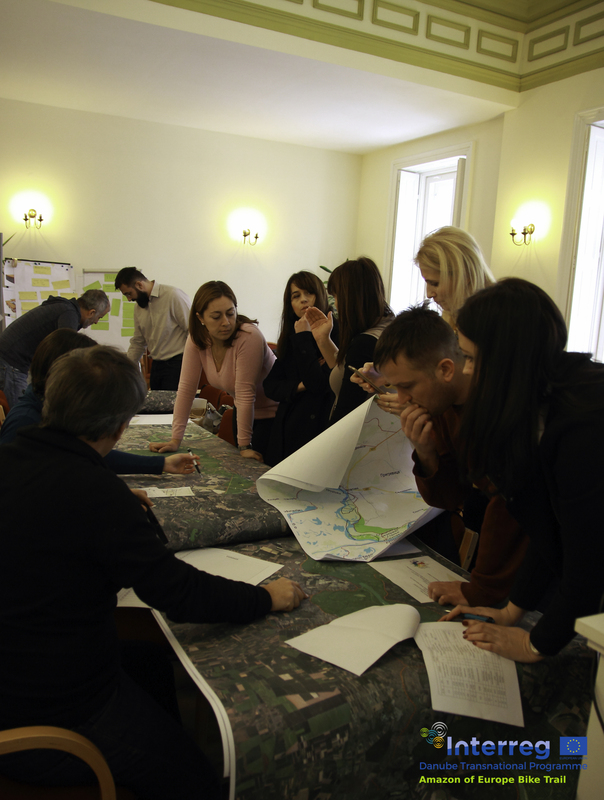 Check out also our report of the Study Visit of the Somogy County, it will be published soon!